Take charge with industry-standard cPanel and our custom customer control panels. Do you need a powerful and secure eCommerce package or just a place to blog? Choose from our popular pre-built hosting packages or build a custom package that fits your needs. Step up to a managed VPS from Full Metal. Power without the responsibility. 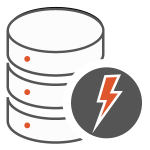 Our powerful compute instances are perfect for your web appliance or development environment. We make registering, hosting, and managing domains easy and affordable. Domains you purchase at Full Metal are a flat rate of $13.95/year for registration and renewals. This includes management of the domain. We take care of the renewals and make sure your domain is never forgotten. 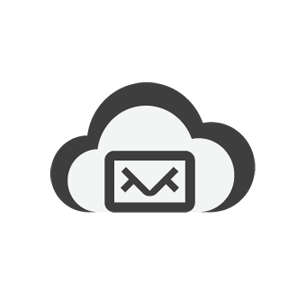 We make it simple for your company to communicate and get things done by offering a variety of email hosting services to meet your business needs. Full Metal has many tiers of email service to choose from. It’s the best way to protect user data and defend against identity theft. Many customers will refuse to do business with a website that doesn’t have an SSL certificate. Customers can shop with confidence when they see your SSL site seal. Use a durable and highly available object storage service. With global edge-caching, your company will have fast access to your app’s data from any location. Your data is protected through redundant storage at multiple physical locations. OAuth and granular access controls form strong security.